The Muzo emerald mine in Colombia is legendary, like the Golconda diamond mine and the Mogok ruby mine, but it is the only one of the three still in operation after five centuries of uninterrupted activity. Since November 2009, Muzo International has had exclusive rights to the Muzo mine. The company has introduced a "mine to market" process that is unique in the gemstone industry. This is based on three pillars: quality, with a guarantee that its stones are totally free of any epoxy resin; a certificate of origin issued by prestigious Swiss laboratories; and traceability, with each stone numbered so it can be tracked from extraction to sale. 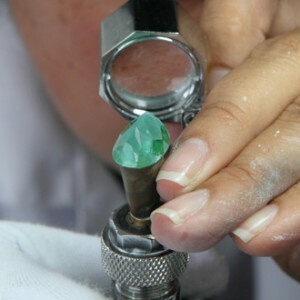 On April 18, 2010, Muzo extracted a rough 97.68-carat emerald. 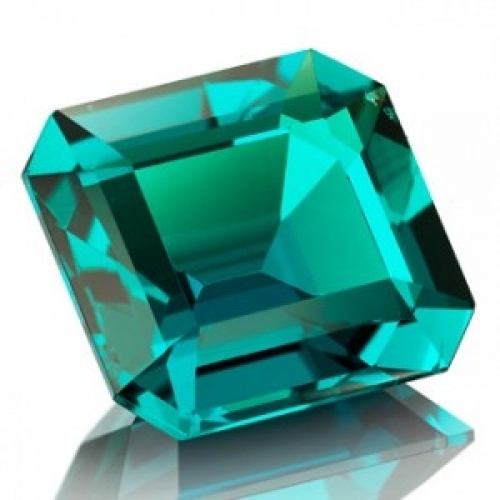 It was cut in its Bogota workshops to produce this dazzling, intense green 12.85-carat emerald, which meets all the required quality criteria and is certified free of epoxy resin.